Snagging. If you do not know the current standards (which you probably don’t) use common sense when deciding if something is a defect or not: if it looks wrong then it probably is. Spend roughly 20 minutes per room, running your fingers over everything to make sure it is smooth. Always snag in natural daylight and stand a reasonable distance away from the item you are checking. Submitting your Snag List. Submitting your list is just part of the process – getting the work completed is another task altogether. Ensure all communication is in writing and keep a diary of all calls / letters & e-mails- you never know when you may need to refer to it. Ask your developer to prepare a schedule of works detailing when works will take place & what will be done. Glass. You must report glass scratches within 24 hours of completion or you will not be covered. Paintwork. Make sure the paint is not too thin (grinning) and that every thing has been painted in full (check the insides of window frames.) Has the paint splashed anywhere? Plaster. Are the walls & ceilings smooth and flat? Are the joints neat and even? Carpentry. Is the woodwork finished properly? Are the locks & hinges fitted level? Check for gaps around doors & ensure the stairs & spindles are firm. Do the doors & windows open & close easily? Brickwork. Are the gaps even & well spaced? Is the brickwork clean & uniform? Tiling. Are any of the tiles proud (sticking out) & is the grouting & mastic sealant finished properly? Plumbing & Electrics. Check all appliances are working correctly and that all guarantees & paperwork are in place. Check for leaks which can appear at any time. Flooring. Are the floors level and finished correctly, especially around the edges? Switches, Sockets & Radiators. Are they level, working & in the right place? Fitted furniture (kitchens, wardrobes etc). Are the doors & drawers fitted correctly? Check the handles, hinges, any scratches or dents? Liaising with your developer. Maintain positive yet persistent communication with your developer for the best effect. Try not to get in to an argument with them if possible as this won’t help you and could delay your remedial works. A new home can be ideal for buyers who don’t want the expense and hassle of renovating and modernising an older property. New homes come with a fitted kitchen and bathroom suite and buyers can choose their own fixtures and fittings as well. A new home also avoids having to live with a previous owner’s decorating disasters. Instead it provides a blank canvas for the buyer’s own style and tastes. Building regulations are increasingly stringent, which is good for the consumer: It means that new developments are built to high safety standards with quality materials. The regulations also ensure that the latest energy management devices are installed in new properties, saving you money on your fuel bills, while being more environmentally friendly. Building regulations ensure that fire resistant materials are used in construction and all new build homes have circuit breakers and fire and smoke alarms fitted as standard. Security features such as modern locks and alarms fitted in new homes also mean lower house and contents insurance premiums. New homes come with a 10-year warranty. 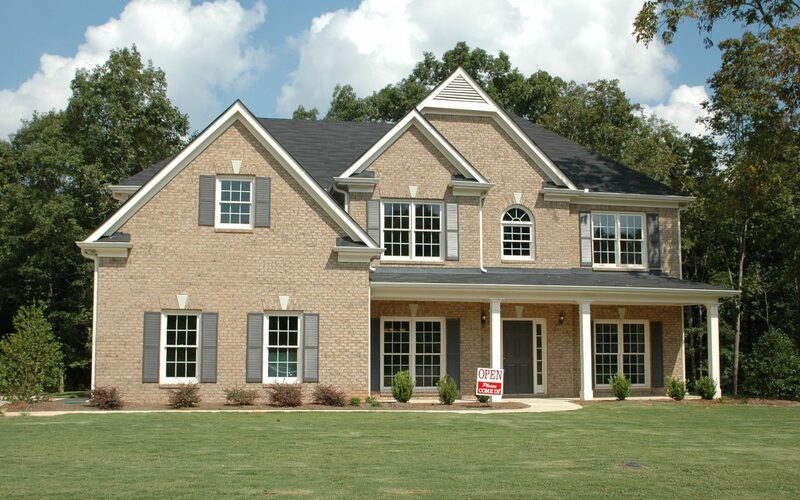 When buying a new home you can move in as soon as its finished. There are no selling chains to consider and the moving in stress is significantly reduced. While many homebuyers cling to the idea of finding an older house with “character”, a new property is one that you can really make into a home of your own – without the draughts.